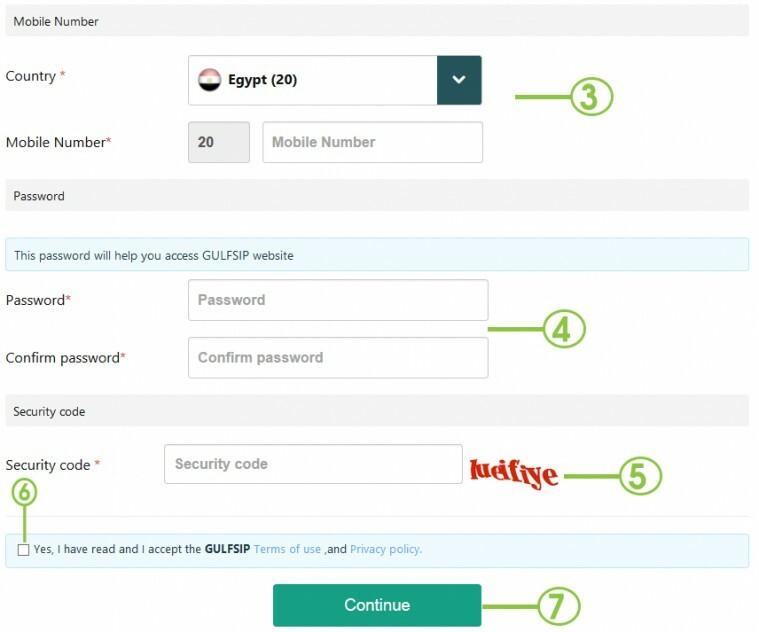 • Link your GULFSIP number to your account for an easy way to manage your numbers. • Monitor any online process whether it is a recharge, renewal, or purchasing a new number. • Allow to take benefit of any offers immediately, as all customers are notified by e-mail and SMS whenever there is a new offer. • Create an account through iPhone or Android applications and get a free GULFSIP number. • Create an account through GULFSIP website. You can download our application for iPhone / Android from Apple store / play store, for both platforms our application is called “GULFSIP”. After downloading the application, write your mobile no. and fill in your data. For more details and step by step clarification, please refer to our “How to get a free number” page available for Iphone and Android. 1. First name: Fill in your First name. .Last name: Fill in your Last name. 2. E-mail: your e-mail address which will be used as your user name for sign in, also you will receive all notifications on this e-mail. 3. Mobile Number: Choose the country, the country code will be filled automatically, then type your mobile number. 4. Password: The password that will be used for log in with your e-mail, try to use a complex password for security reasons. .Confirm password: Retype your password. 5. Security Code: Type the characters which will appear on the screen. 7. Press “Continue” to complete the process.
. After filling the data, you will be required to activate your mobile number. 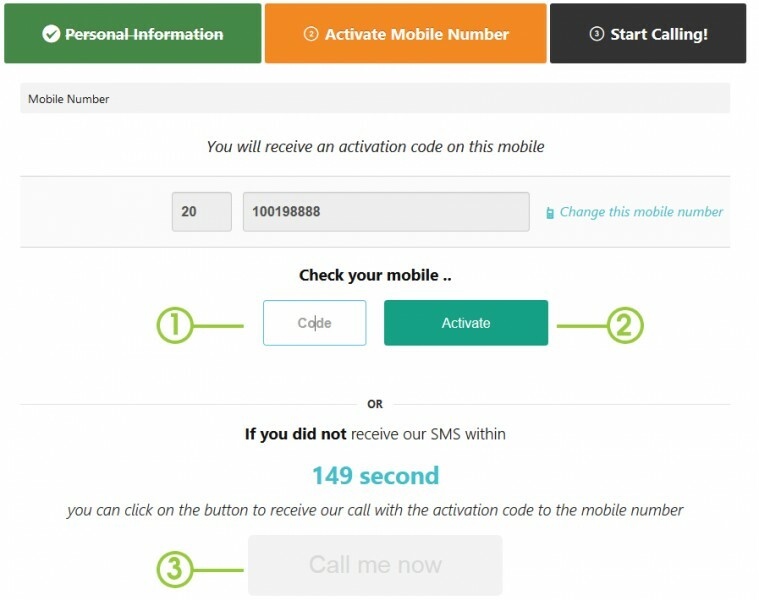 To do so, make sure that your mobile number you have entered is correct and available, then press on “Send activation code”.
. An SMS will be sent to your mobile number with the activation code, if you didn’t receive the code within 3 minutes, please press on “Call me now” button and you should receive a call with the code. When you receive the code whether through SMS or call, simply type it in the box and press on “Activate”.